It was the first time ever (and hopefully the last time) that I ever missed a flight. Was stunned by the fact that something like that could actually happen! It wasn’t because I was wandering across the sprawling retail areas of the airport but because of a silly gaffe. 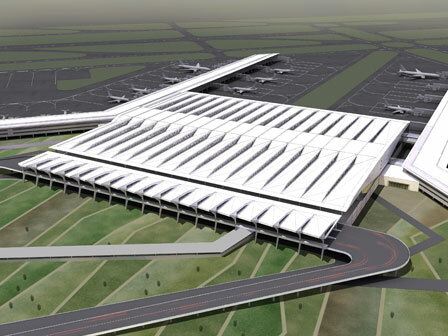 Anyway, the pupose of my visit was fulfilled with a three hour walkthrough across the various areas of the airport. Although it’s been already written and told a few times so far, here’s a firsthand account of what’s for an avid shopper at T3. Firstly, if you were to really explore this place, block 60-90 minutes ahead of the scheduled boarding time (not the departure time). The design of the airport terminal is such that one enters the main hub after security check and then there are different spokes (or arms) which lead the passengers to the Boarding Gates. The Hub is where most of the Retail and F&B action is. So, be prepared to walk a long way before you finally get seated into the aircraft. 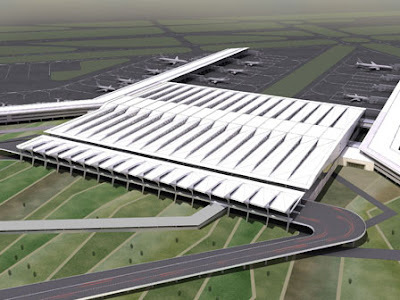 Undoubtedly one of the most modern airports in the world, T3 as it is famously known is constructed and managed by the GMR Group which also manages the Hyderabad Airport in India and Ataturk Airport in Turkey. As with most international airports, the Check-In and Arrival areas are common for both Domestic and International passengers. While there are limited Retail and F&B opportunities in these areas (mostly for convenience), I guess it is more by design since the passengers are expected to spend time and money in the main commercial areas after security check. The walkway for passengers is through the retail stores – an interesting idea first explored at the Bangalore International Airport, which is predominantly how airport retail layouts are planned and executed world over. The idea is to make the passengers walk through the stores – the store aisles are identical to the walkways and hence give immense opportunity to convert passersby into potential customers. In the Domestic Departures, one is welcomed with a fascinating WH Smith, the UK based books and stationery retailer through a joint venture in India. Adjacent to it is another British Giant – Marks & Spencer that showcases daily wear fashion for men and women including accessories. The undergarments’ section at the entrance was a surprise – am sure store planners would have visualized some other way than reality. Then there are other major retail brands such as Fab-India and Swarovski showcasing Indian and International contemporary fashion, Croma Zip, the electronics mini-format from Tata Retail, Perfumes and Cosmetics from home-grown Parcos, Toys and early learning products from ELC, Sweets and Confectionery from Chokola and local delicacies from Haldirams. The F&B range is rather remarkable – given that passengers prefer to spend more time at bars and restaurants. T3 is the second home for Coffee Day Square that serves the most premium single-origin coffee sourced from all over the world apart from the regular fare that’s available across its other 1,070 cafes; Kingfisher Good Times Bar as the name suggests welcomes tired passengers to offer one for the runway; the massive foodcourt in the first floor offers over a dozen Indian and International offering– over 300 exciting items to choose from. On the way to the gates, there is also Dilli StrEAT – a superb idea that showcases local food delicacies. And then there are the Lounges which overflow (read pax waiting outside for some of them seated to move out) during the peak hours. Given that our domestic passengers are not habituated to shop at airports, it was surprising to see such a spread-out retail offering. For example, the distance from the Business Lounges / Shopping & Dining areas to the Boarding Gates could be between 200 metres to 1,000 metres which means one may have to walk between 10-20 minutes to reach the aircraft. The International Departures (after Emigration and Security check) is quite similar, except that the entrance is welcomed by one of the most fabulous Duty Free selections across categories such as Liquor and tobacco, Scotch whisky, Premium Wines, Perfumes and Cosmetics etc. Ethos, India’s largest retailer of watches and timewear operates a premium watch boutique. They have indeed walked a long way in Airport Retail after debuting in Bangalore Airport in 2008 and thereafter at Mumbai Airport. Then there are other premium and luxury brands such as Versace, Hugo Boss, Samsonite Black, Swarovski, Mango, Kimaya, etc. An interesting idea is the Indian souvenir and gifts shop - it also includes a SPA / Therapy centre and is welcomed with exciting artifacts and a photo of the Mahatma with a Charka – quite didn’t understand the significance except for a small note on “Service”. Coffee Bean and Tea Leaf has a café in the ground level but for a more detailed fare, one has to walk up to the first floor which has a massive food court and a special area for children to play – I guess the planners would have thought children would be playing while the adults are having a bite at the foodcourt which is again located between 200 – 1,000 meters from the Boarding Gates. The kilometer long piers (at Domestic & International Departures) that connect the main building to the Boarding Gates do have some F&B opportunities, but the menu is selective and doesn’t attract passengers quite a bit, unless there is a compulsive need to stop-by. Pepsi is the exclusive partner for this airport and hence one can find a vending machine selling various packed beverages every 20 meters. Vodafone is the prominent telecom partner and even offers free browsing! There are a number of ATMs, just look for them and you have the convenience of picking up cash on the go. Overall, it’s a joy to be at this Airport Terminal for which we have waited for many years - this airport was completed in 37 months with a capacity to manage 34 million passengers a year in comparison to Singapore Changi T3 (76 months, 22 million pax capacity), London Heathrow T5 (60 months, 25 million pax capacity) and Beijing T3 (60 months, 45 million pax capacity) – easy in and easy out - 168 check-in counters; 49 emigration counters, 46 immigration counters; in-line baggage handling system with a capacity to handle 12,800 bags per hours; 97 automatic travelators and 78 Boarding Bridges; an overall area of 5.4 million sqft including 215,000 sft of Retail space! Just that it takes too much time than anticipated, so double your proposed time if you want to pass through the Retail, F&B areas. As for shopping, if you still do, then Happy Shopping. Everybody who is somebody in Marketing is today craving about the power of Social Media on consumers. I have been hooked onto this upcoming (or is it already there) medium for over two years now, but am yet to tap the full potential, both in terms of knowledge gain as well as ways of improving business. While most of the self-claimed Social Media Gurus believe that usage of a social platform such as Twitter or Facebook itself is Social Media marketing, it really isn't. At least for Retailers and Brands. Its about how the medium is used to connect to consumers and to receive feedback from them, rather than passing communication / message such as promotions and offers. While I have been thinking of writing a column on this topic for quite long (apologies to followers of this column and even those who don’t, for not being around for more than eight weeks due to other predicaments) I read something a while ago which prompted me to discuss this topic. Feedback, as always most welcome. 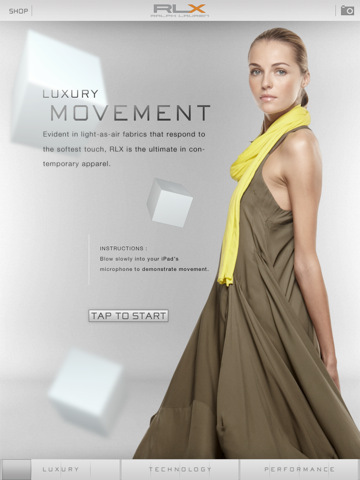 Ralph Lauren, the marquee Luxury brand in all senses has launched a heavily interactive iPad app to promote its RLX (Ralph Lauren Extreme) sportswear line. 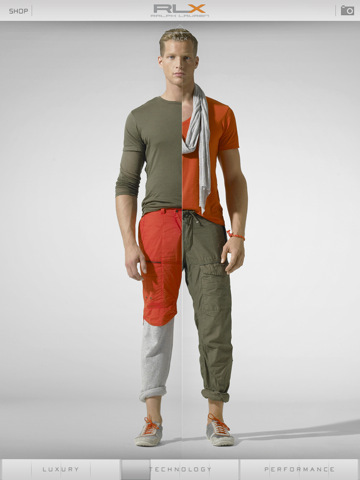 The photo and animation-rich app, the first the publicly-traded fashion company has created for the iPad, invites users to perform different actions that underline the apparel line’s various properties. Users can use their fingers to paint in color on a black-and-white photograph (highlighting the collection’s colorful palette), tap to freeze model-athletes in various acrobatic poses (conveying agility) and blow into their iPad’s microphone to demonstrate the “light-as-air” fabrics, among other things. It utilizes much of what the device has to offer: its built-in accelerometer, digital compass, assisted GPS and multi-touch capabilities. Users can shop the collection within the app, share images via Facebook and e-mail, and save images to their photo library. Like most fashion apps, the vast majority of users will open it once and never again — but that appears to serve Ralph Lauren’s purposes well enough, given that the app promotes a single collection. What started more as a mere communication (internet advertising followed by emailers a decade ago) evolved into a multi-million audience with the social media networks springing up by the day. Facebook, (valued at $82.9 Billion) one of the earliest entrants in the social networking space and a darling of the masses seems to lead the pack with tons of brands vying for mind space on the digital platform. It changed the way brands communicated – from one-way “take-it or ignore” communication to two way "compulsive interactivity". Brands are not just telling about themselves to their audience but also listening - started asking them what they wanted, what they liked and didn't. Specific to India, Shoppers Stop, Pantaloons, Wills Lifestyle, Vero Moda, Adidas & Nike are prominent in the apparel space; Pizza Hut, McDonalds, Hard Rock Café, Dominos and Taco Bell in the QSR space; Café Coffee Day & Barista as the two prominent café chains; and there are even malls such as Inorbit and Phoenix Mills that have their own community space! All these pages are updated frequently, ranging from twice a week to thrice a day, depending on the level of engagement that a brand wants to have. Then came Twitter –a social networking and microblogging site where the user can post messages upto 140 characters (only), has followers and can follow other users as well. While this is mainly considered for personal networking and news updates due to the frequency of postings every day (over 65 million tweets a day according to Wiki), brands are vying to be heard in this space too. Many of them who are on Facebook double up their efforts to communicate through Twitter, while the popularity of it is not even half of that of Facebook which has over 500 million users! Another big trend these days is the emergence of Foursquare, a location based social networking tool that allows the user to invite his or her friends; once connected, the user needs to check-in using the app (available for Android devices, iPhone, Symbian and even Blackberry). Users virtually check-in to locations that are listed everytime the app is refreshed. The network of friends would get to know the whereabouts of each other, except that one should be careful in his or her judgment before inviting the Spouse or Boss into the network, for they may want to keep them away from such coveted information! 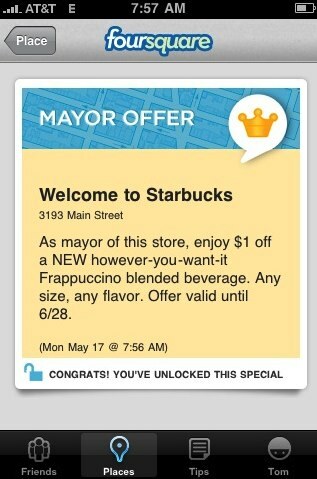 Globally, many brands have tagged themselves with Foursquare and offer specials to “Mayors” (a user becomes a Mayor with maximum check-ins in the past 60 days; and there can be only one user as Mayor everyday), ranging from a dollar off on a Frappucino at Starbucks to getting free bread sticks at participating Pizza Hut outlets in the US. “We want to give our customers an incentive to return to their favourite Pizza Hut as often as possible,” says Chris Fuller, Director of social media at Pizza Hut, Dallas. “This is a fun, interactive way to fuel customer loyalty. “Mobile tools and social media have become part of the daily routines of our customers,” he said. “They get their news, share their stories and, yes, order pizza from their phones without ever placing a call. Cafe Coffee Day is the first Indian brand to go live on Foursquare. 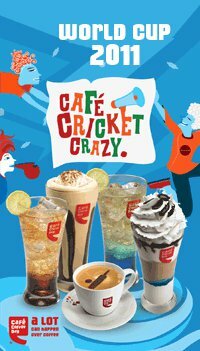 On your third check-in at CCD (applicable only for Bangalore for now), you will get a 15% discount. 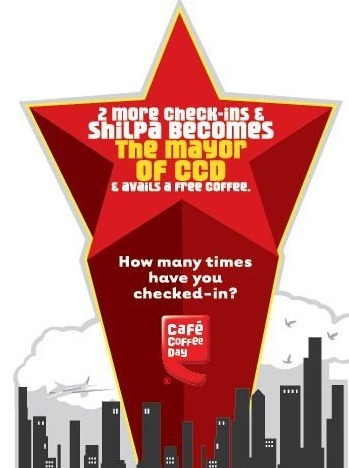 And if you are the Mayor, CCD will serve you a free coffee and a 20% discount on every 3rd check-in. Aside, Cafe Coffee Day is the first Indian brand on Foursquare to have their own Brand Page. With 7 out of 10 phones being sold in metros already being smartphones and getting less expensive (I wouldn’t say cheaper!) by the day, between Rs. 7,000 – Rs. 9,000 for a decent entry level one all the way upto super smartphones and tablets averaging Rs. 30,000, these apps will only become more popular and user friendly. Its up to the Retailers and Brands, how much they would like to involve themselves in this new media. After all, it doesn’t come easy and cheap – either it needs a dedicated in-house team or an outsourced one, either way requiring an in-depth knowledge about the medium. Time will tell, how well this media is used. Until then, stay connected with your favorite brands and ofcourse, your's truly.